The large area of showers and storms north of Puerto Rico by several hundred miles is associated with a strong upper air low. Water temperatures are in the upper 70s.... a little cooler than normally seen for development. The area of disturbed weather will be watched although it would be extremely rare to see development into a subtropical / tropical cyclone this time of year. It appears that a rare sub-tropical cyclone may be forming / has formed several hundred miles east of the Bahamas / several hundred miles north of Puerto Rico. Deep convection has formed near the center of circulation so some tropical features are present. Since wind shear is forecast to increase NHC will not likely address this system unless convection expands markedly. 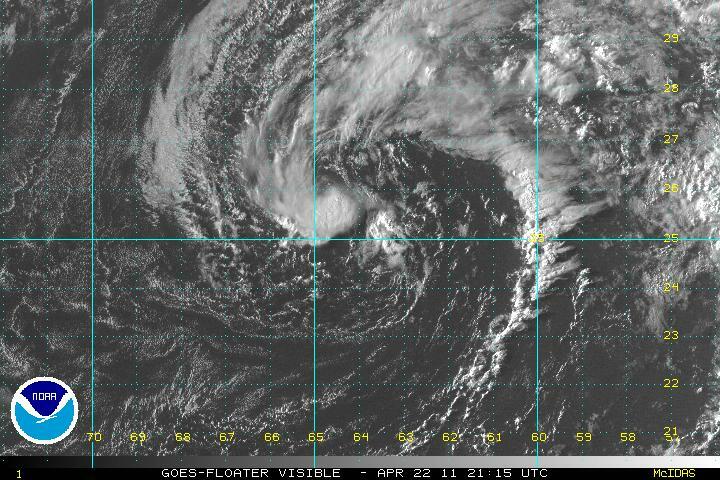 It appears that what was probably subtropical depression 1 yesterday has now weakened. The expected wind shear increase has stripped all convection. Without convection the low can not develop. 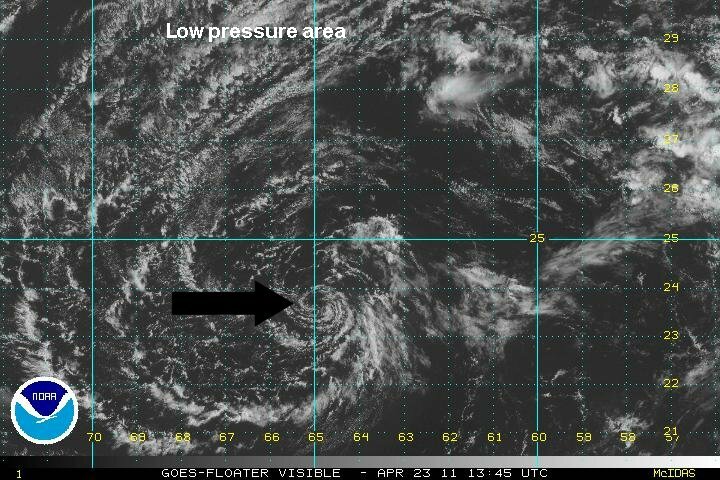 There was a period of about 24 hours where a low level circulation was present with convection near the circulation center.